Review: Sephora Eye Makeup Remover - 12 Days of Blogmas! Hey, friends! Last month I was in Sydney-town and naturally picked up quite a few goodies from Sephora. So much so, in fact, that I filmed a haul video all about it which you can watch here. 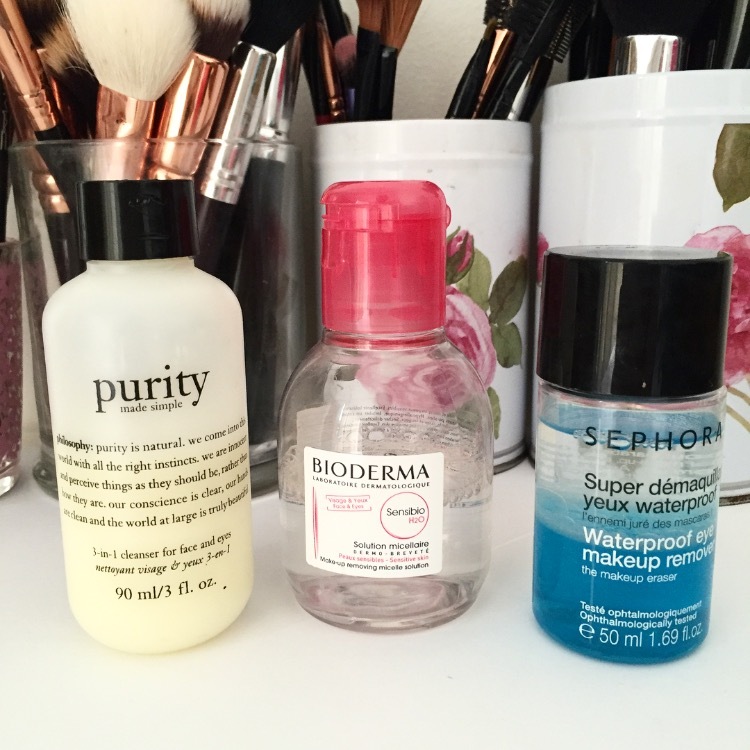 Among these things was a product recommended by Queen Jaclyn Hill herself, the Sephora Collection Waterproof Eye Makeup Remover. Since this has been a hot topic of conversation in the beauty world, I thought I'd put my two cents in on whether this baby is worth it. Shall we? 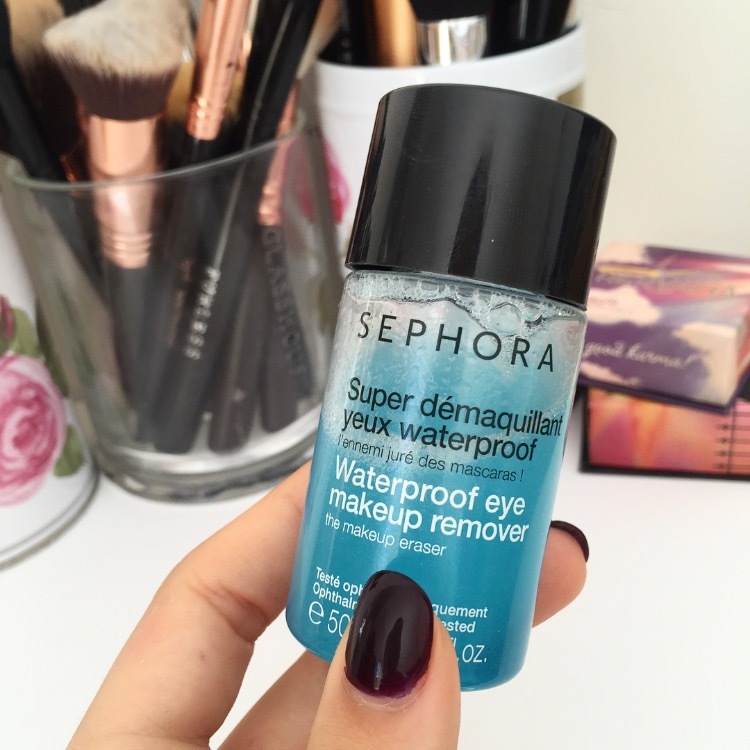 This blue bottle of wonder claims to remove all makeup, strengthen your lashes with Procapil, and leave your skin dry. While I can totally attest to all of these things - even the lash strengthening! - I have one issue with this stuff; it stings like crazy. I figured this was just due to my super sensi-skin, but my gal pal AshleyMareeBeauty shares my skin dilemmas and has experienced no irritation. Perhaps one of the ingredients just doesn't agree with me, but either way its a shame because nothing else has removed my makeup as easily as this stuff! My micellar water usually leaves behind faint traces of eyeliner, destined to smudge down my face during the night, and leaving me to resemble 14-year-old-scene-Sophia. However, this stuff leaves absolutely no evidence. To be honest, it's cleansing power is so great that if have a heavy eyeliner day I will use this stuff over my Bioderma and brave the burn. Probably don't follow in my footsteps. An added bonus is the fact that the solution is safe for use with contact lenses, but I personally always remove mine before going in with any cleanser because I'm terrified of damaging my precious eyeballs. At AUD$9 for a 50ml bottle, I think this stuff is worth the risk of sting! Have you tried this stuff? What were your thoughts? I'd love to know!